Record Store Day is an annual event, a celebration of independent record stores across the world. On one Saturday, every year, fans of music, musicians and record stores come together. For this year’s event, which takes place Saturday, April 21st, the legendary rock band Led Zeppelin has a special treat for those who participate in the event. Within the yellow vinyl are “Sunset Sound Mix” of “Rock and Roll” and the “Olympic Studios Mix” of “Friends. 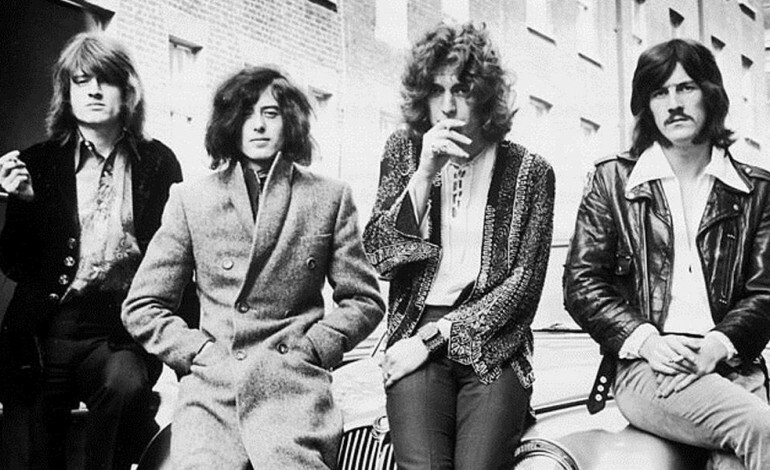 The Sunset Sound mix of ‘Rock and Roll’ was initially recorded during the release of 1971’s Led Zeppelin IV, while ‘Friends’ comes from the recording of Led Zeppelin III in 1970. The alternate mixes were both produced by Jimmy Page. Zeppelin announced another special treat for their fans, a newly remastered version of their classic live album How the West Was Won. The album was recorded during the band’s performances at the Forum in Los Angeles and the Long Beach Arena on June 25th and the 27th in 1992. It will be available in a variety of formats on March 23rd via Atlantic/Swan Song. Preorders of the remastered box sext can be purchased here. Devoted fans should mark their calendars because, for those who are familiar with Record Store Day exclusives, the 7″ will only be available to purchase on April 21st in an independent record store near you. See the cover art for the Record Store Day single below.